Kothu Paratha (or Kothu Parotha) is a South Indian delight made up of stir-fried ‘roti canai’ or paratha bread (Indian flatbread grilled with plentiful of ghee oil) beaten/mashed with two very interesting apparatus in both hands of the cook (like how you would mash boiled potatoes, but with considerably more strength and speed). Usually, green chillies, eggs, onions, tomatoes and a special sweetish-spicy sauce would be added to reach that moist consistency. And doesn’t time just fly when you least remember the tiniest of moments? Last year, almost around the same time of the year; I was writing about Kalai Curry House and the impending Deepavali celebration. 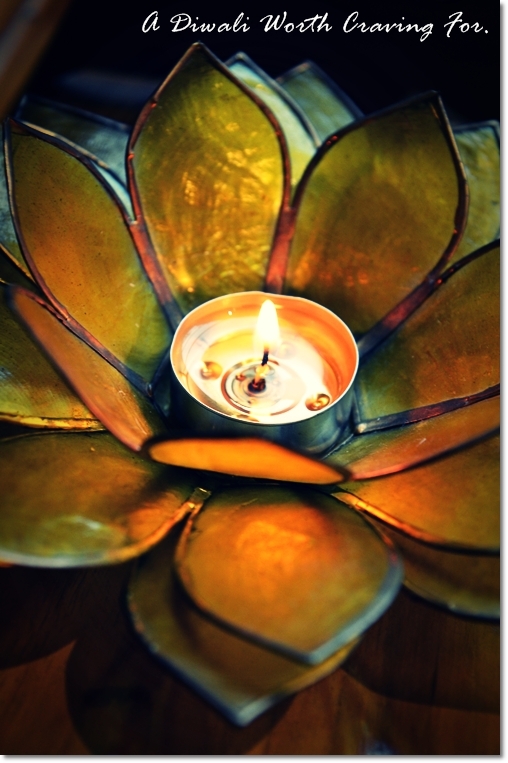 Come to Ananda Bahwan in the evening, and be prepared to be educated on the more rustic/authentic side of South Indian cuisine. I sure had my fair share of dumb moments when being confronted with a menu like the above. 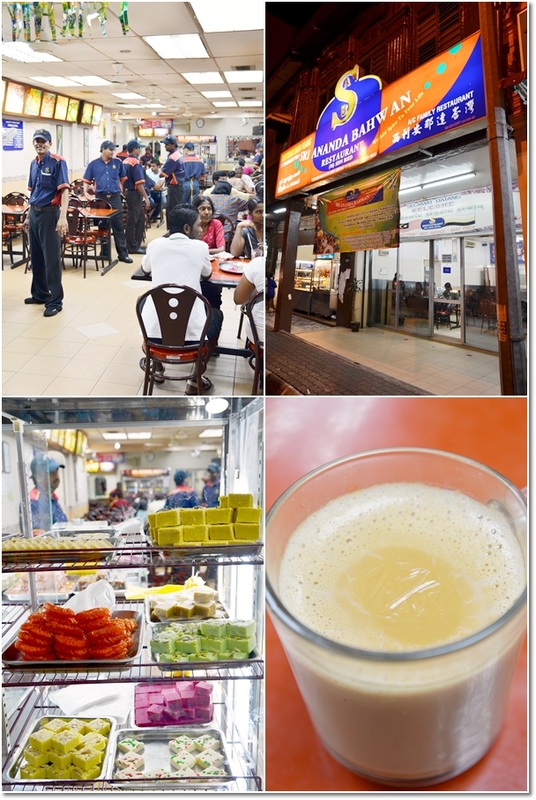 Yes, this IS a re-post of Ananda Bahwan; the famous chain of Indian restaurants originating from Penang. But since Ipoh’s not brimming with good Indian restaurants in nooks and corners, this is still my personal favourite spot for some good old, no-frills South Indian fares. 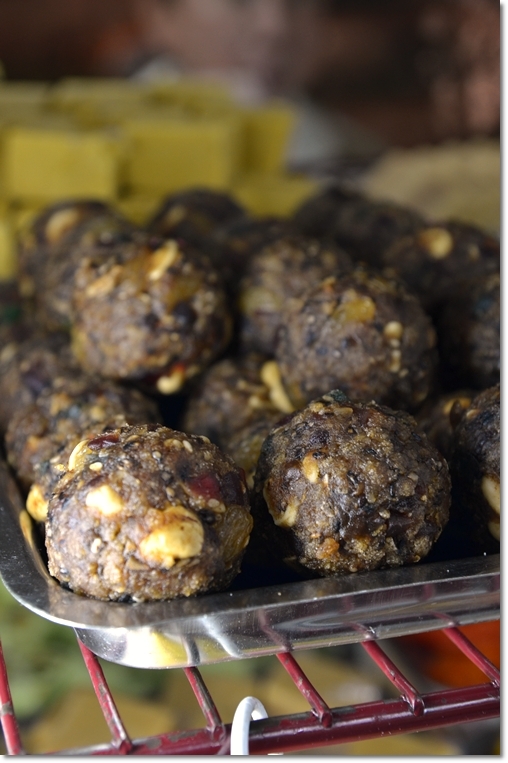 Indian sweets on display (try the Gulab jamun, Laddu or Halwa) which are not as sickeningly sweet as imagined, and go for ‘teh tarik susu lembu’ (cow’s milk infused Malaysian style of pulled tea) for that fuller taste. And it has been close to a year since I have relocated to KL. 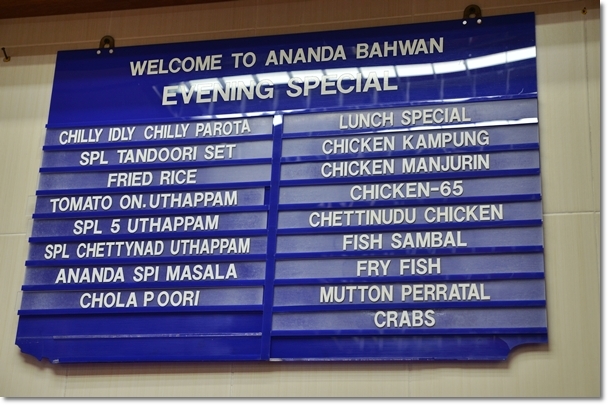 Brought back sweet memories; thinking about the simpler times when we used to have dinner at Ananda Bahwan instead of the usual coffee shops, ‘dai chow’ Chinese restaurants, or Western food outlets. We love our Indian food, more so when we could barely even spell out the names, let alone memorize them. The more alien it sounds, more often than not, the tastier the dish is. 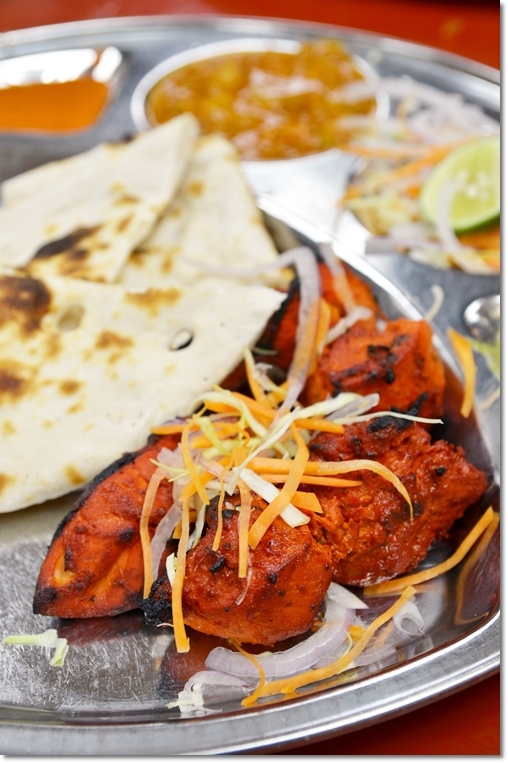 Tandoori Chicken with Plain Naan and the usual condiments and sides. Especially their Kothu Paratha. Choose from either chicken or mutton (or plain without any meat), and walk over to witness the camaraderie the whole cooking ordeal may express. Clunking noises from the mashing utensils, and a sure-fire smile from the cook behind the griddle. Everything looks sweet enough to promote tooth decay, but don’t think the Indian sweets come cheap. Oh no, far from it. Some may cost up to RM3 per piece or more. 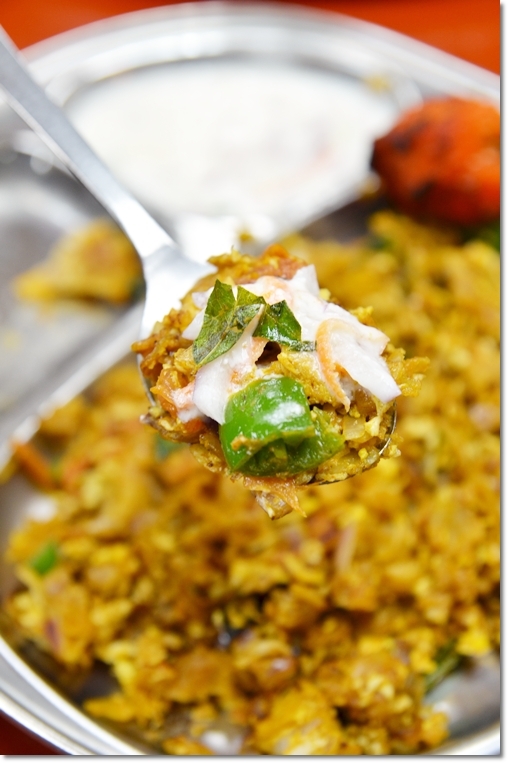 A spoonful of Kothu Paratha; with some sour cream/yoghurt in case you love the extra dimension the cream provides. Still; this dish wins my vote for being tasty, sinfully laden with proteins, fats and all, yet reasonably priced and proportioned to satisfy. Trust me. The other Evening Special dishes taste as intriguing as they may sound. Don’t go for the generic Thosai, Roti Canai or Chapati here. Ask for recommendations if you would. Request for an Evening-only menu. They have them laminated in one-piece cardboards. Though you may need to decipher everything on the list. Even Uthappam (a sort of Indian pizza) comes in a variety of flavours; from tomato onion version to Special Chettinad Uthappam. I did that once, and was introduced to a myriad of interesting flavours, textures … and ultimately, cultures. Yummy buttered chicken can be found there. Yeah .. and they used to have this very good fried bitter gourd. But don’t see that in their spread of dishes anymore though. there’s a branch in Bangsar Utama. since u are in KL now, maybe u can check it out..
No.26, Jalan Bangsar Utama 1, Bangsar Utama, 59100 Kuala Lumpur. have tried their Puri, rotis, thosai etc. very authentic indeed..
will definitely give their Kothu Parotta a try.. thanks for the recommendation. Hi Alan …. you’re most welcomed. 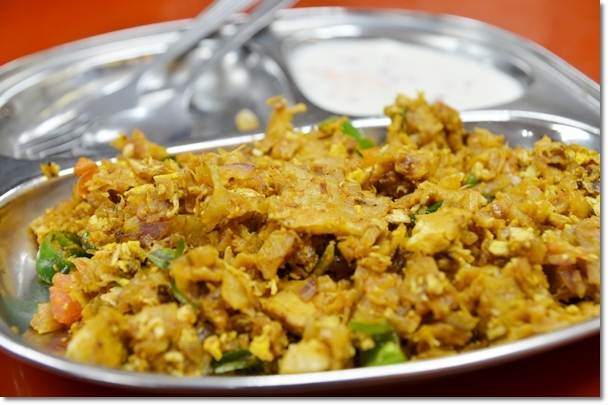 Yeah, Ananda Bahwan does good Kothu Parotta, though this may be the only place in Ipoh where you can try that. Hope that the Bangsar branch serves this too. You’re most welcomed, shuvo. Just writing about a dish in particular that I like.